Drea Daily, veterinarian and owner of Nose 2 Tails animal clinic, has a special gift. She can talk to animals. Holt Major, a tourist, brings his beloved dog into her clinic for an emergency, she’s finding it hard to resist his charm. If she reveals her special gift, she will lose it. But if she doesn’t jump on the chance for true love, she will lose Holt. 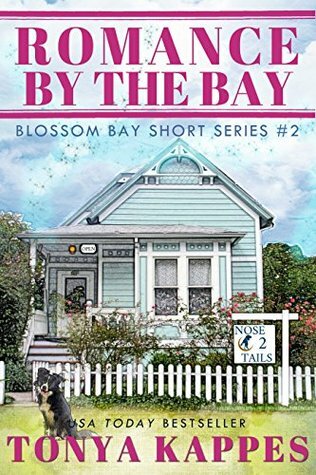 Romance By The Bay was a very cute entertaining novella. The characters were well rounded and I enjoyed getting to know them. Drea is really passionate about all animals and that works out good with the special gift she has, being able to talk to animals. I enjoyed listening to all the conversations she had with them, I thought these added a lot of humor to the novella. This is a light, funny and well written paranormal romance that I would recommend to anyone who enjoys that genre.